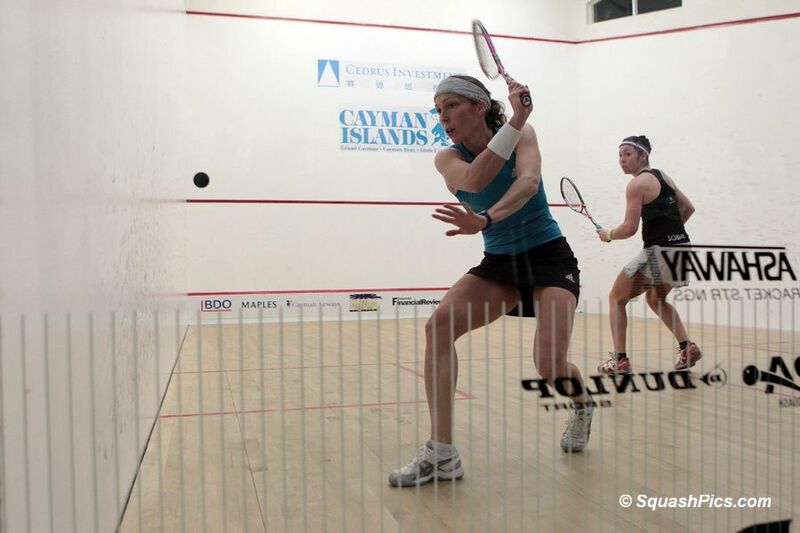 Australian Donna Urquhart produced ‘one of, if not the’ best results of her career when she upset world No5 Alison Waters in the opening round of the Cedrus Investments Women’s Cayman Islands Open, the inaugural WISPA World Series squash event in Grand Cayman in the Cayman Islands. “I feel like I’ve earned a rest day,” the delighted 24-year-old qualifier from Brisbane told www.squashsite.com after her third consecutive 50-minute plus match which ended in an 11-5, 11-9, 9-11, 10-12, 11-7 victory over Waters, the fourth seed. “She was hitting lots of winners from all over the shop, and I couldn’t put her under as much pressure as she was putting me under tonight,” explained Waters, the 27-year-old from England who was competing in only her second Tour event since recovering from an Achilles injury last year. 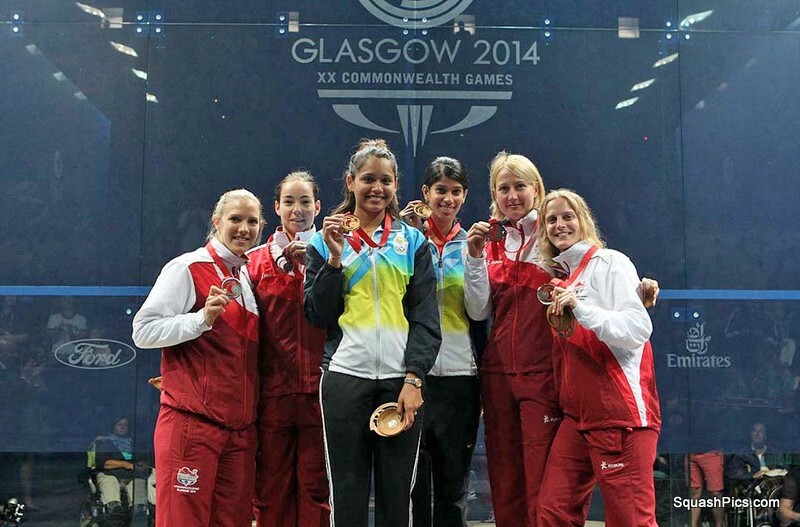 “She was the better player on the day,” conceded the former world No3. But left-hander Urquhart, ranked 16 in the world, was delighted with her triumph: “I can’t believe it, really – I’ve had some disappointing results in the last two or three weeks, even though I was playing well in training. “I feel like I’ve turned it around this week, it’s good to put it together in matches. 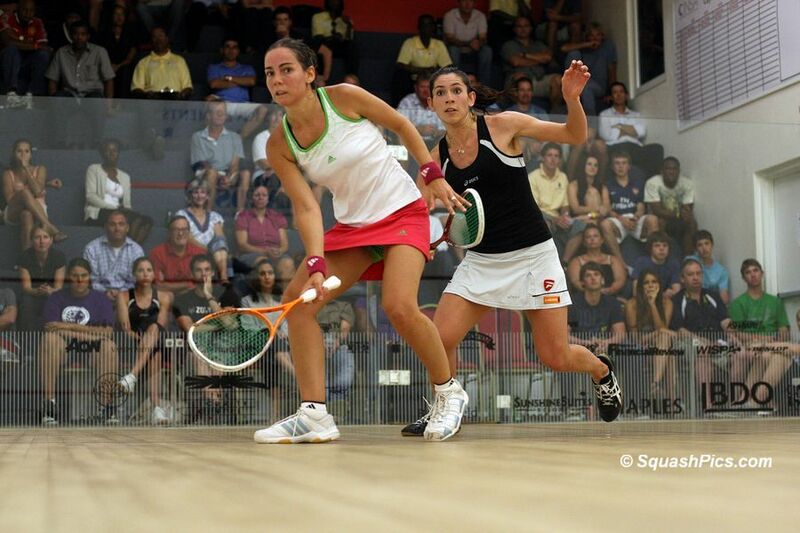 An earlier tussle saw Amanda Sobhy, the 17-year-old world junior champion from the USA, take on Irish veteranMadeline Perry, the 34-year-old from Belfast who leapt to a career-high No3 in the world rankings this month. 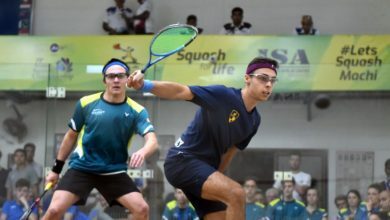 In dramatically close encounter, fifth seed Perry twice had to come from behind to topple the teenage qualifier 6-11, 18-16, 3-11, 11-9, 11-8 in 56 minutes. “She’s way too good for 17,” exclaimed Perry courtside immediately after her testing encounter. “I’m one of the oldest on tour and she’s one of the youngest – I scraped through today but it won’t be long before she’s beating me. “She hits the ball so hard, and her low hard kills are excellent. That was just a case of grinding it out, it’s all I could do against her. I just kept telling myself that if I won I’d get a day off to recover,” said the 12-time Irish national champion who next faces Urquhart. 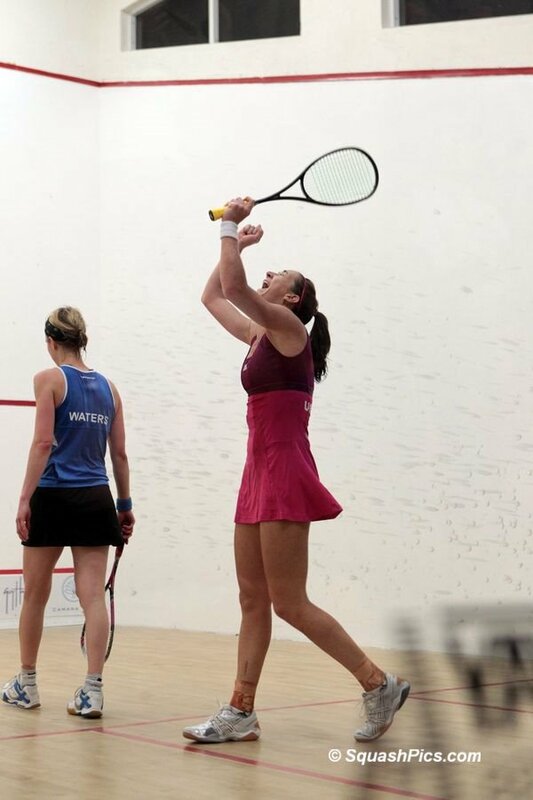 England’s No2 seed Jenny Duncalf was also fully extended in the last first round match of the day when she was taken to five games by Joelle King before beating the unseeded New Zealander 11-7, 2-11, 11-3, 9-11, 11-3 in 54 minutes. The world No2 from Harrogate will now face French number one Camille Serme after the seventh seed from Paris defeated Malaysian Low Wee Wern 11-8, 11-6, 8-11, 11-2.